OVERVIEW: In KILLING FLOOR 2, players descend into continental Europe after it has been overrun by horrific, murderous clones called Zeds that were created by rogue elements of the Horzine Corporation. The Zed outbreak caused by Horzine’s failed experiments has quickly spread with unstoppable momentum, paralyzing the European Union. Only a month ago, the first Zed outbreak from the original KILLING FLOOR ripped through London; now the Zeds are everywhere. Civilization is in disarray, communication networks have failed, governments have collapsed, and military forces have been systematically eradicated. The people of Europe are now focused on self-preservation, the lucky few who survived having gone into hiding. But not all have given up hope; a motley group of civilians, soldiers, and mercenaries have banded together to fight the Zed outbreaks from bases across Europe. When an outbreak is detected, the players are sent into Zed-laden hot zones to exterminate all threats using whatever means necessary. Welcome to the Killing Floor. KEY FEATURES: • Xbox One Exclusive Content - Spray zeds with liquid nitrogen and shatter them to pieces with the Freezethrower, an Xbox One exclusive weapon for the Survivalist Perk. The Freezethrower comes with eight weapon skins to customize your weapon’s appearance. Also, you can sport the Wasteland Armor uniform, an Xbox One exclusive cosmetic outfit, with five different styles. 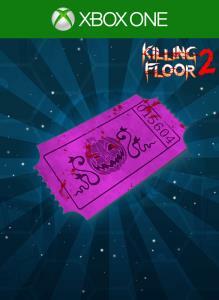 Killing Floor 2 includes all previously released DLC packs including Tropical Bash, The Descent, and elements of the Summer Sideshow. • Visceral Gore - KILLING FLOOR 2 ramps up the gore with a proprietary, high-powered, persistent blood and gore system bringing new levels of fidelity and brutality. Players will send entrails, severed limbs, and blood flying as they wade through hordes of enemies. • Survival Game Mode: Play Solo or Co-op with Up to 6 Players—In this game mode, player team up against hordes of AI controlled Zeds across multiple waves, collecting Dosh for each Zed killed and using it to buy weapon upgrades, until they reach the boss… or die trying • Versus Survival Game Mode: Play PvP with Up to 12 Players - Be the Zed! In this game mode, two teams of up to six players take turns, one team playing humans and the other a mixture of specially modified Zeds backed up by AI controlled Zeds. After each team has a turn playing both humans and Zeds, they both receive a score based on their performance and the higher score wins! • Terrifying Zeds – Ranging from the lowly clot to the might of the cybernetically enhanced Patriarch, players will have to deal with a vast array of Zeds trying to kill them using advanced and deadly artificial intelligence. 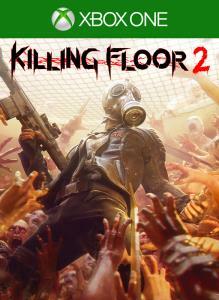 The Zed hordes unleash devastating, coordinated attacks to slaughter the players, pushing the challenge level and fear factor to new levels • Unique Blend of Weaponry - From modern assault rifles and brutal improvised weapons to historical guns and off the wall “Mad Scientist” weapons, KILLING FLOOR 2 has a unique blend of slaughter tools that will satisfy any gamer. • Expanded Perk System – Players can select from ten different perks, each with its own skills, powers, and weapons, in addition to choosing from among a variety of playable characters with different appearances and personalities. All perks progress with meaningful talent choices that amplify different play styles, giving players a progression path that is expansive and full of rewarding milestones. • Mixer Integration – Interact with viewers in when streaming through Mixer. Viewers aren’t just passive observers, but can affect gameplay, both aiding the streamer and making their game more difficult. 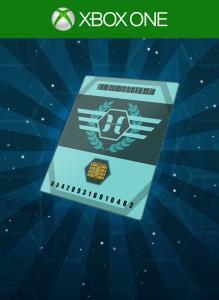 Purchase a Horzine Supply Crate Key, an in-game consumable key that will open any Horzine Supply Crate. You will need this key and any Horzine Supply Crate to use it. 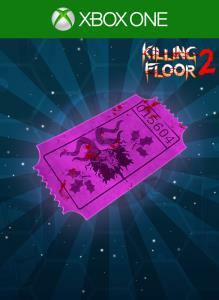 This premium ticket can be redeemed for an exclusive Halloween item! Only 1 ticket required! Only available for a limited time! 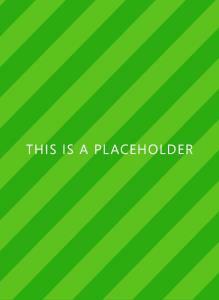 This premium ticket can be redeemed for an exclusive Christmas item! Only 1 ticket required! Only available for a limited time!